You have decided that you no longer want the goods ordered or are they different from what you expected? No problem if it is within the first 14 days! As per EU Consumer Rights Directive, you can choose to withdraw from your order for any reason within 14 days from the day you received your goods. Just send them back. Package your undamaged items for return, including all labels. Enclose the invoice (make yourself a copy). Enclose the filled out Returns Form – download here. Package the items securely to avoid any damage en route. Kettering - Telford Way I.E. Use Standard delivery (Hermes recommended). Make sure to obtain a proof of posting and a tracking number. As soon the package arrives to the Czech Republic you will receive an email confirming a full refund within 14 days. f you have any questions, please get in touch with our customer support – Contacts. Within 14 days you can change your mind and return the goods for any reason. The cooling off period begins from the day you received your goods. If the last day falls on a Saturday, Sunday or bank holiday, the cooling off period extends on to the next working day. 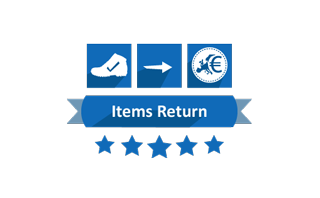 You will receive your refund within 14 days of the cancellation, however, not until we receive the returned items (or until you send us the proof of shipment). The returned goods do not need to be in their original packaging, however, if the packaging has been opened or damaged, we reserve the right to charge a re-stocking fee to return the goods to original condition. Please make sure to pack the goods accordingly so that they aren’t damaged en route to us. We also recommend that you obtain a proof of postage receipt.